Although it's obvious that Windows 7 users will be able to upgrade to Windows 8 (and cheaply too, if you bought a new system recently), the company hasn't offered a detailed upgrade path for all Windows 7 editions, nor older versions. However, sources privy to such information have reportedly spilled the beans to ZDNet's Mary Jo Foley. 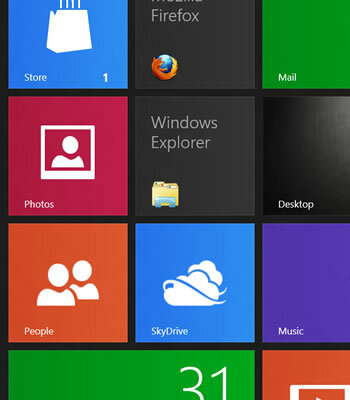 Users of Windows 7 Home Basic and Home Premium will be able to upgrade to Windows 8 (the non-Pro version) while keeping their Windows settings, personal files and applications, while Windows 8 Pro will let folks upgrade from any consumer Windows 7 edition (Starter through Ultimate) while maintaining OS settings, user data and programs. Users hoping to upgrade to Windows 8 Enterprise will need to be running Windows 7 Professional or Enterprise to keep all their settings and data, while those coming from Windows XP or Vista will be able to perform a limited upgrade. XP SP3 can shift to Windows 8 without OS settings, Vista (no service packs) will only maintain personal files, while Vista SP1 will carry over personal files and system settings. It was noted that cross-language installations won't be able to upgrade without starting from fresh, nor will cross-architecture installations -- the latter of which shouldn't come as a surprise. It'd be awesome if you could seamlessly migrate from XP onward, but if the above information is accurate, Microsoft has at least improved the process over Windows 7, which required XP users to perform a clean installation.